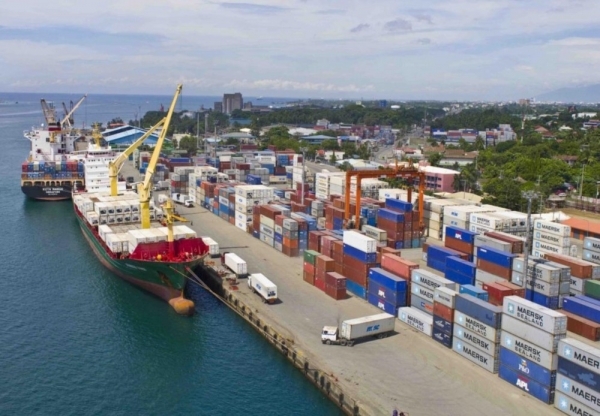 The Transportation Department will put to tender the first public-private partnership seaport project under the Aquino administration in Davao City. The Philippine Ports Authority invited local and international companies to submit a bid to redevelop the Davao Sasa Port Modernisation Project which is expected to cost about 17 billion pesos. The bid project will be for financing, design and redevelopment to operate and maintain the Sasa Port in northern Davao. The Davao Sasa Wharf is the country’s major port for bananas, one of the Philippines’ biggest exports. It has a capacity of 700,000 20ft units, but the PPA had forecast volumes to increase to 1.2 million TEUs in the next five years. The winning bid will modernise the existing port and include the construction of a new apron and linear quay – the upgrade will also include a back-up area, container yards and warehouses and installation of new equipment cranes and more. The bid will also include the operation and maintenance of the port for a period of 30 years. All bids must be submitted with a non-refundable fee of 300,000 pesos.